Surgical Specialist, Military Hospital, Palampur, Himachal Pradesh, India. Thyroid cancer is the most common endocrine cancer in the word and its incidence is on the rise. Though generally associated with a very good prognosis, few cases may demonstrate resistance to treatment such as radio-iodine therapy. lncRNAs have shown to be involved in several steps of thyroid carcinogenesis. It can act as a prognostic and diagnostic marker. Altered levels of specific lncRNAs have also shown to be associated with resistance to radioiodine treatment. Therapy with lncRNA has also shown to return radio-sensitivity in thyroid cancer cell lines. Thyroid cancer is the most common endocrine cancer in the world . In United States, the incidence of thyroid cancer is on the rise due to several factors ranging from increased diagnosis to environmental exposure . Broadly, thyroid cancer has been divided into well differentiated cancers and poorly differentiated cancers. Among the well differentiated cancers, papillary thyroid carcinoma (PTC) is the most common amounting to 80% of all thyroid cancers followed by follicular carcinoma. While PTC has more of localised metastasis, follicular carcinoma is known to have widespread systemic metastasis. Well differentiated thyroid carcinoma has a relatively good prognosis following surgery and radioiodine therapy with a 10 year survival rate of more than 90% . Among the more aggressive tumours comes anaplastic thyroid carcinoma. These tumours are refractory to radioiodine therapy and usually have a poor prognosis. Other rare tumors of thyroid include lymphoma, squamous cell carcinoma and fibrosarcoma [4,5]. As in all malignancies genetic alterations are an integral part of thyroid cancer also. The specific pathways involved in thyroid carcinogenesis include genetic rearrangements in RET/PTC and PAX8/PPARδ pathways, aberrant signalling in PI3K/Akt and MAPK/ERK pathways . lncRNAs have also shown to play an important part thyroid carcinogenesis. lncRNAs are non coding RNAs with a nucleotide length more than 200 base pairs. What was earlier thought to be ‘junk DNA’, has shown to be involved in almost all facets of human physiology and pathology. lncRNAs have been seen as a key in understanding the exact pathogenesis of tumours. They also serve as a biomarker for tumours and could in the near future be used a therapeutical tool. Studies have shown that almost 240 lncRNAs have an altered expression in PTC. Few of the lncRNAs shown to be involved in thyroid tumour are given in table below (Table 1). Table 1: List of lncRNAs upregulated and downregulated in thyroid cancer. Specific genetic mutations have known to predispose patients to PTC. One such mutation is the single nucleotide polymorphism (SNP) rs965513 in 9q22 (28–30). This is associated with nearby FOXE1 gene. FOXE1 gene plays an essential part during embryonic development of thyroid and regulates several thyroid specific genes [7-32]. Further studies on the exact mechanism revealed the locus 9q22 to code for lncRNA PTCSC2 . The role of this lncRNA is akin to a tumour suppressor and it was found to be absent or decreased in thyroid cancer cell lines. lncRNA PTCSC2 may be another missing link in understanding the exact pathogenesis of thyroid cancer. Kim et al. conducted a study looking into the differential expression of lncRNAs . It showed that LOC100507661 was over expressed in papillary and anaplastic thyroid cancers. Also patients with this specific over expression had increased lymph node metastasis and BRAF V600E mutation. They concluded that LOC100507661 played an important part in carcinogenesis of thyroid cancers and can act as a prognostic marker. Another similar study by Du et al. used the RNA sequencing profile of PTC patients and compared it to a healthy cohort. It showed an altered expression of almost 240 lncRNAs. Further gene ontology analysis was used to investigate the related genes and a functional lncRNA-mRNA co expression network was used to investigate clinical relevance. The study validated differential expression of five lncRNAs namely CTD-3193O13.11, RP5- 1024C24.1, AC007255.8, HOXD-AS1 and RP11-402L6.1. Also the varied expression of these lncRNAs were related to clinical stage, lymph node metastasis and tumour size . Lungs are the most common site of distant metastasis in a case of Differentiated thyroid cancer (DTC) . Radioiodine therapy with I-131 is the main treatment in these cases. However around onethird of such metastatic cases do not respond to I-131. At present to identify these non responders require a radioiodine scan. A study by Qiu et al. has shown a differential expression of four lncRNAs in patients with non I-131 avid lung metastasis namely ENST00000462717, ENST00000415582, TCONS_00024700 and NR_028454. These lncRNAs can be detected in plasma and may predict responsiveness of metastasis to radioiodine without exposing patients to diagnostic isotope scan . Recurrence risk of PTC after radioactive iodine (RAI) treatment is around 15.6% in 3 years . These recurrent lesions are often refractory to RAI treatment and 3 year overall survival rate is less than 50%. Molecular targeted agents can be used in treatment of such RAI refractory cases. A study by Xiang et al. researched into this possibility. Within this study, thyroid cancer cell lines were exposed to sublethal dose of RAI. Microarray analysis of pre-exposure and post-exposure cancer cell lines was performed . SCL6A9 was shown to be significantly decreased in post exposure cell lines. To further confirm the role of SCL6A9, radio resistant cell lines were transfected with this gene. The result was increased susceptibility of earlier radio resistant cells. SCL6A9 was shown to act as a PARP1 promoter. While PARP1 acts as a DNA repair gene effectiveness of SCL6A9 was due to ATP depletion following upregulation of PARP1 . Thus SCL6A9 may be a novel therapeutic agent in treatment of patients with RAI failure. lncRNAs have been revolutionising the biology of cancer genetics. Evidence is accumulating day by day regarding the role they play in various aspects of cancer pathogenesis. Thyroid cancer continues to have a very favourable prognosis in comparison to others. However, few cases fail to respond to treatment especially in cases of recurrence. lncRNA offer a way for better understanding of the mechanism of resistance. In neat future lncRNA based therapy could possibly bring these outliers towards a favourable prognosis. Siegel RL, Miller KD, Jemal A (2017) Cancer statistics, 2017. CA Cancer J Clin 67: 7-30. Chen AY, Jemal A, Ward EM (2009) Increasing incidence of differentiated thyroid cancer in the United States, 1988-2005. Cancer 115: 3801-3807. Sniezek JC, Holtel M (2017) Rare tumors of the thyroid gland. Otolaryngol Clin North Am 36: 107-115. Janczak D, Chabowski M, Pawelczyk J, Jelen M, Szydelko T (2013) A giant primary thyroid fibrosarcoma in an octogenarian. Chirurgia 108: 568-570. Aschebrook-Kilfoy B, Ward MH, Sabra MM, Devesa SS (2011) Thyroid Cancer Incidence Patterns in the United States by Histologic Type, 1992-2006. Thyroid 21: 125-134. Zhao JJ, Hao S, Wang LL, Hu CY, Zhang S, et al. (2016) Long non-coding RNA ANRIL promotes the invasion and metastasis of thyroid cancer cells through TGF-β/Smad signaling pathway. Oncotarget 7: 57903-57918. He H, Nagy R, Liyanarachchi S, Jiao H, Li W, et al. (2009) A susceptibility locus for papillary thyroid carcinoma on chromosome 8q24. Cancer Res 69: 625-31. Li JH, Zhang SQ, Qiu XG, Zhang SJ, Zheng SH, et al. (2017) Long non-coding RNA NEAT1 promotes malignant progression of thyroid carcinoma by regulating miRNA-214. Int J Oncol 50: 708-716. Wang CH, Yan G, Zhang YQ, Jia XQ, Bu P (2015) Long non-coding RNA MEG3 suppresses migration and invasion of thyroid carcinoma by targeting of Rac1. Neoplasma 62: 541-549. Kim D, Lee WK, Jeong S, Seol M, Kim H, et al. (2016) Upregulation of long noncoding RNA LOC100507661 promotes tumor aggressiveness in thyroid cancer. Mol Cell Endocrinol 431: 36-45. Yoon H, He H, Nagy R, Davuluri R, Suster S, et al. (2017) Identification of a novel noncoding RNA gene, NAMA, that is downregulated in papillary thyroid carcinoma with BRAF mutation and associated with growth arrest. Int J Cancer 121: 767-775. Li H mei, Yang H, Wen D yue, Luo Y huan, Liang C yan, et al. (2017) Overexpression of LncRNA HOTAIR is associated with poor prognosis in thyroid carcinoma: A study based on TCGA and GEO data. Horm Metab Res 49: 388-399. Wang Y, He H, Li W, Phay J, Shen R, et al. (2017) MYH9 binds to lncRNA gene PTCSC2 and regulates FOXE1 in the 9q22 thyroid cancer risk locus. Proc Natl Acad Sci U S A 114: 474-479. Liu L, Yang J, Zhu X, Li D, Lv Z, et al. (2016) Long noncoding RNA H19 competitively binds miR-17-5p to regulate YES1 expression in thyroid cancer. FEBS J 283: 2326-2339. Fan M, Li X, Jiang W, Huang Y, Li J, et al. (2013) A long non-coding RNA, PTCSC3, as a tumor suppressor and a target of miRNAs in thyroid cancer cells. Exp Ther Med 5: 1143-1146. Xu B, Shao Q, Xie K, Zhang Y, Dong T, et al. (2016) The long non-coding RNA ENST00000537266 and ENST00000426615 influence papillary thyroid cancer cell proliferation and motility. Cell Physiol Biochem 38: 368-378. Liao T, Qu N, Shi R, Guo K, Ma B, et al. (2017) BRAF-activated LncRNA functions as a tumor suppressor in papillary thyroid cancer. Oncotarget 8: 238-247. Lan X, Sun W, Zhang P, He L, Dong W, et al. (2016) Downregulation of long noncoding RNA NONHSAT037832 in papillary thyroid carcinoma and its clinical significance. Tumour Biol 37: 6117-6123. Zhou Q, Chen J, Feng J, Wang J (2016) Long noncoding RNA PVT1 modulates thyroid cancer cell proliferation by recruiting EZH2 and regulating thyroid-stimulating hormone receptor (TSHR). Tumor Biol 37: 3105-3113. Ma B, Liao T, Wen D, Dong C, Zhou L, et al. (2016) Long intergenic non-coding RNA 271 is predictive of a poorer prognosis of papillary thyroid cancer. Sci Rep 6. Li T, Yang XD, Ye CX, Shen ZL, Yang Y, et al. 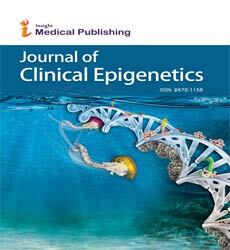 (2017) Long noncoding RNA HIT000218960 promotes papillary thyroid cancer oncogenesis and tumor progression by upregulating the expression of high mobility group AT-hook 2 (HMGA2) gene. Cell Cycle 16: 224-231. Pan W, Zhou L, Ge M, Zhang B, Yang X, et al. (2016) Whole exome sequencing identifies lncRNA GAS8-AS1 and LPAR4 as novel papillary thyroid carcinoma driver alternations. Hum Mol Genet 25: 1875-1884. Sun W, Lan X, Wang Z, Dong W, He L, et al. (2016) Overexpression of long non-coding RNA NR_036575.1 contributes to the proliferation and migration of papillary thyroid cancer. Med Oncol 33: 102. Wang Q, Yang H, Wu L, Yao J, Meng X, et al. (2016) Identification of specific long non-coding RNA expression: Profile and analysis of association with clinicopathological characteristics and BRAF-mutation in papillary thyroid cancer. Thyroid 26: 12. Jeong S, Lee J, Kim D, Seol MY, Lee WK yun, et al. (2016) Relationship of focally amplified long noncoding on chromosome 1 (FAL1) lncRNA with E2F transcription factors in thyroid cancer. Medicine (Baltimore) 95: e2592. Wang Y, Guo Q, Zhao Y, Chen J, Wang S, et al. (2014) BRAF-activated long non-coding RNA contributes to cell proliferation and activates autophagy in papillary thyroid carcinoma. Oncol Lett 8: 1947-1952. Köhler A, Chen B, Gemignani F, Elisei R, Romei C, et al. (2013) Genome-wide association study on differentiated thyroid cancer. J Clin Endocrinol Metab 98: E1674-1681. Matsuse M, Takahashi M, Mitsutake N, Nishihara E, Hirokawa M, et al. (2011) The FOXE1 and NKX2-1 loci are associated with susceptibility to papillary thyroid carcinoma in the Japanese population. J Med Genet 48: 645-648. Jones AM, Howarth KM, Martin L, Gorman M, Mihai R, et al. (2012) Thyroid cancer susceptibility polymorphisms: Confirmation of loci on chromosomes 9q22 and 14q13, validation of a recessive 8q24 locus and failure to replicate a locus on 5q24. J Med Genet 49: 158-163. Parlato R, Rosica A, Rodriguez-Mallon A, Affuso A, Postiglione MP, et al. (2004) An integrated regulatory network controlling survival and migration in thyroid organogenesis. Dev Biol 276: 464-475. Fernández LP, López-Márquez A, Martínez ÁM, Gómez-López G, Santisteban P (2013) New insights into FoxE1 functions: Identification of direct FoxE1 targets in thyroid cells. PLoS One 8. He H, Li W, Liyanarachchi S, Jendrzejewski J, Srinivas M, et al. (2015) Genetic predisposition to papillary thyroid carcinoma: Involvement of FOXE1, TSHR and a novel lincRNA gene, PTCSC2. J Clin Endocrinol Metab 100: E164-172. Du Y, Xia W, Zhang J, Wan D, Yang Z, et al. (2017) Comprehensive analysis of long noncoding RNA–mRNA co-expression patterns in thyroid cancer. Mol BioSyst 13: 2107-2115. Song HJ, Qiu ZL, Shen CT, Wei WJ, Luo QY (2015) Pulmonary metastases in differentiated thyroid cancer: Efficacy of radioiodine therapy and prognostic factors. Eur J Endocrinol 173: 399-408. Qiu ZL, Song HJ, Xu YH, Luo QY (2011) Efficacy and survival analysis of 131I therapy for bone metastases from differentiated thyroid cancer. J Clin Endocrinol Metab 96: 3078-3086. Qiu ZL, Shen CT, Sun ZK, Wei WJ, Zhang XY, et al. (2016) Circulating long non-coding RNAs act as biomarkers for predicting 131I uptake and mortality in papillary thyroid cancer patients with lung metastases. Cell Physiol Biochem 40: 1377-1390. Lupoli R, Cacciapuoti M, Tortora A, Barba L, Verde N, et al. (2014) Clinical outcome in differentiated thyroid carcinoma and microcarcinoma. Int J Surg 12: S148-151. Capdevila J, Galofré JC, Grande E, Zafón Llopis C, Ramón y Cajal Asensio T, et al. (2017) Consensus on the management of advanced radioactive iodine-refractory differentiated thyroid cancer on behalf of the Spanish Society of Endocrinology Thyroid Cancer Working Group (GTSEEN) and Spanish Rare Cancer Working Group (GETHI). Clin Transl Oncol 19: 279-287. Xiang C, Zhang M, Zhao Q, Xie Q, Yan H, et al. (2017) LncRNA-SLC6A9-5:2: A potent sensitizer in 131I-resistant papillary thyroid carcinoma with PARP-1 induction. Oncotarget 8: 22954-22967. Woodhouse BC, Dianov GL (2008) Poly ADP-ribose polymerase-1: An international molecule of mystery. DNA Repair (Amst) 7: 1077-1086. Robu M, Shah RG, Petitclerc N, Brind’Amour J, Kandan-Kulangara F, et al. (2013) Role of poly(ADP-ribose) polymerase-1 in the removal of UV-induced DNA lesions by nucleotide excision repair. Proc Natl Acad Sci U S A 110: 1658-63.